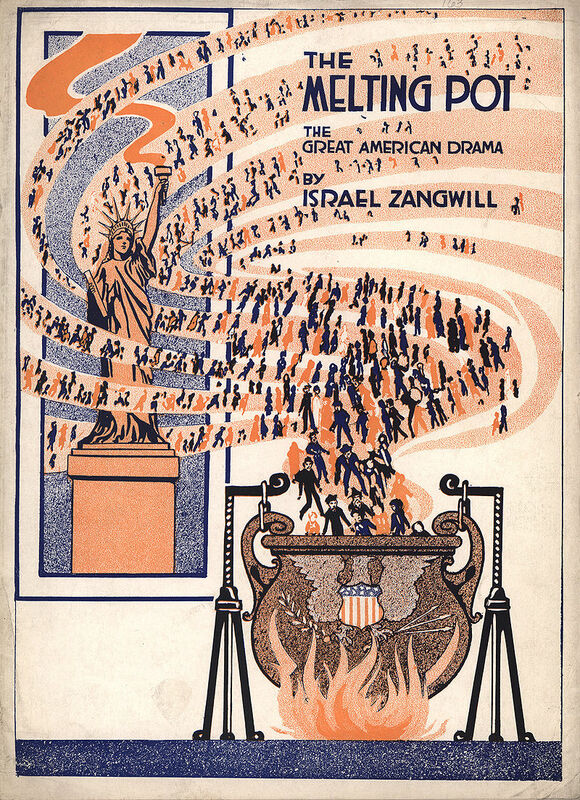 was popularized by the 1908 play The Melting Pot. 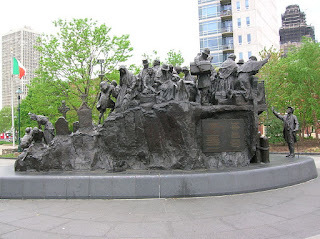 If you grew up in the USA, then you grew up referring to the blending of immigrant culture as the “Melting Pot”. However, up here in Canada we referred to the same phenomenon as the “Cultural Mosaic”. 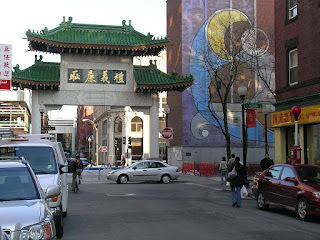 But mosaic or melting pot, it means the same thing, that beautiful blending of heritages from all over the world to create a brand new North American culture that embraces all. 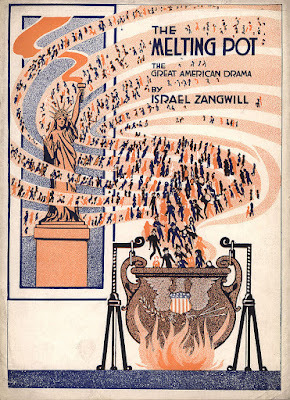 As an immigrant to the new world, I particularly relish the richness of national characteristics of new citizens to our shores, because at one time I was one of them. Take Friday night TV, “Blue Bloods,” one of my favorite shows. So easy to see how Irish, Italian, and other Europeans made such a mark on the New York Police Department. A small example, but so vivid. As we look at each region we see specific ethnic strains, such as that of New Yorkers and New Englanders who still hold on to their distinctive accent and manner of thought, particularly in the North and in Boston. The heavy industry that evolved in the middle Atlantic States came from Dutch and Swedish settlers, and their religious influence as Catholics, Protestants, and Quakers. The South is known for its very distinctive drawl and hospitality, settled mainly by English Protestants. America’s breadbasket states came primarily from Germany, Sweden and Norway. The Great Lakes Region (where I grew up across the border in Canada) played a large part in the early industry of the two countries. Not to mention the Wild West, the Spanish influence in California and New Mexico. Yes, Americans and Canadians are most definitely…a cultural mosaic. 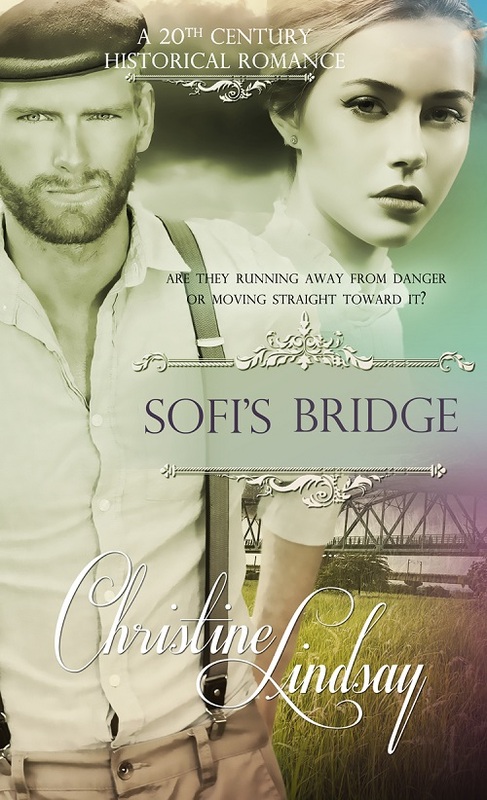 this my new historical release Sofi’s Bridge, I enjoyed working with the various accents, brogues and dialects that make up the cultural melting pot in the US. In my research I discovered that a large majority of Swedes developed Washington State as is proven by this census map. Distribution of Swedish Americans in the United States according to the 2000 census. My female lead in Sofi's Bridge is second generation Swedish living in Washington State. The hero however hails from Northern Ireland, speaking with a brogue strong with rising inflections. The Northern Irish brogue is so different from that of Dublin only a few hundred miles to the south. Here are a few samples of that N. Irish brogue. Their combined laughter lifted to the eaves. Their gazes locked. A faint flush caressed her cheek, and she glanced away. One of my favorite snippets of dialogue description shows the different in the Scottish brogue set against that of two Swedish housemaids. 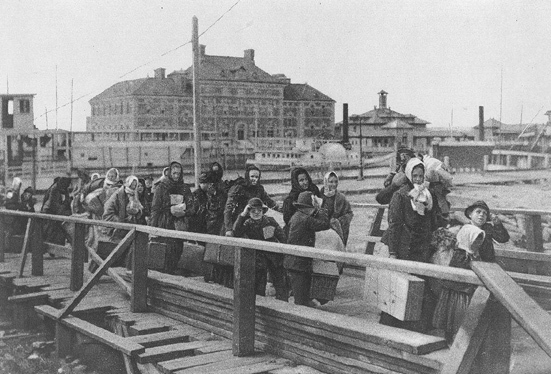 Immigrants entering the US through Ellis Island. But half the characters in this book originally came from Sweden. Here is a sample of that Swedish accent that from my research shows their immigrant story in a small way. “You mean like a farmer’s daughter, jah?” There was another word Freddie had not wanted her to use. It clearly offended Charles too. Always say yes instead of jah. Always say Mrs. Jones instead of Fru Jones. But our North American Cultural Mosaic includes much more than Europeans, but also Asians, and those from the Middle East as well as South America. In this small snippet of dialogue, I tried to show the poetic Asian cadence to the dialogue of an elderly Japanese character. 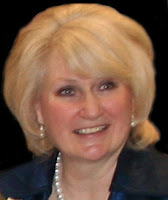 Read for free the first chapters of all of Christine Lindsay’s novels including chapter 1 of Sofi’s Bridge at this link Christine Lindsay’s Books. 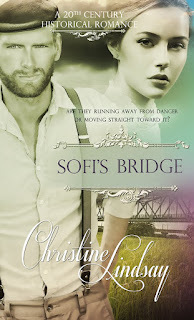 Christine’s Irish wit and use of setting as a character is evident in her contemporary romance Londonderry Dreaming and newest release Sofi’s Bridge.